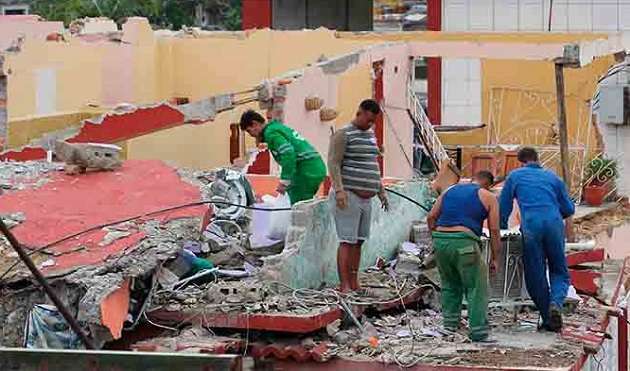 (Evangelical Focus) — Cubans in the island and elsewhere have reacted to the news of the lethal tornado that lashed La Habana on January 27. Four people died and 195 were injured. More than 1,200 houses were affected, leaving thousands of people without a roof, in a country where many households struggle financially. The Methodist Church, one of the biggest denominations in Cuba, organized a campaign to collect goods and offer help to the affected. On Facebook, they called to give clothes, shoes, food and other items “that can be of use” in such a situation. Meanwhile, the Council of Churches of Cuba evaluated the damages. The leadership visited the affected zones in Cuba to plan a set of actions to respond to the state of emergency.